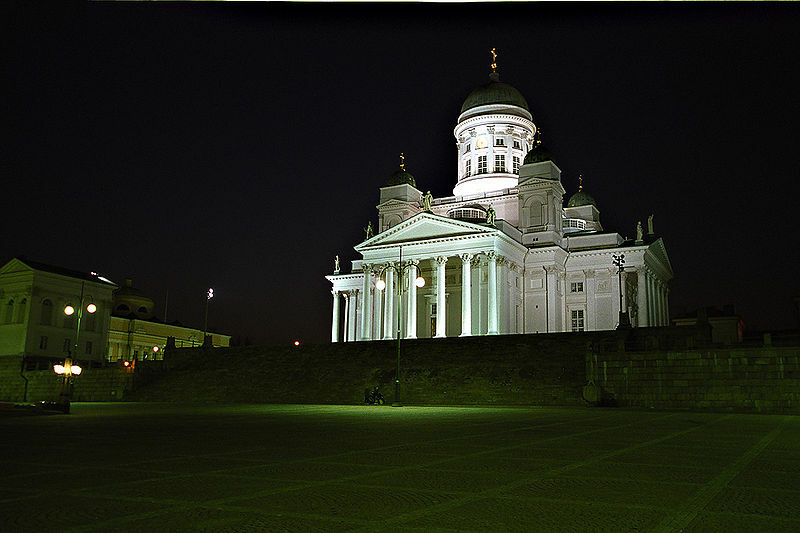 Helsinki Cathedral is probably the most recognized landmark of Helsinki. With a tall green dome surrounded by four smaller domes, the church was built in 1830–1852, in neoclassical style as a tribute to the Grand Duke, Nicholas I, the Tsar of Russia. 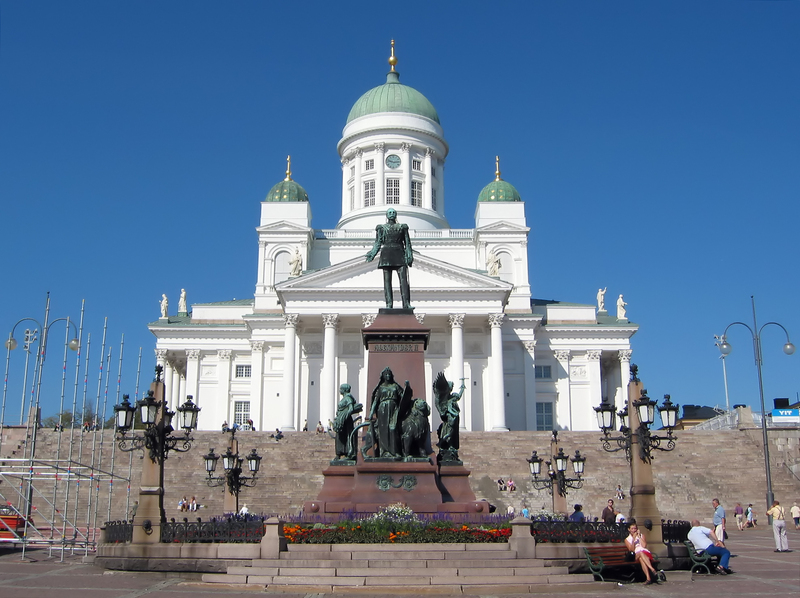 It was designed by Carl Ludvig Engel, to form the climax of the whole Senate Square laid out by Engel, surrounded by a number of buildings all designed by him. The building has a Greek-cross plan, and is symmetrical in each of the four cardinal directions, each marked by a colonnade and pediment. 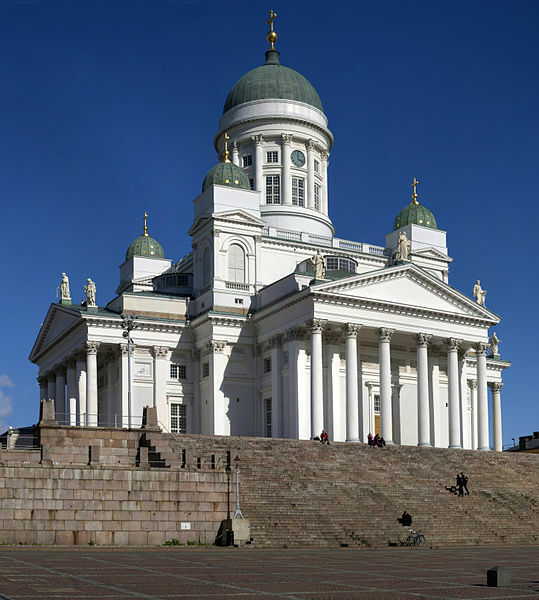 The building was later altered by his successor Ernst Lohrmann, whose four small domes make the architectural connection to the cathedral's model, Saint Isaac's Cathedral in St. Petersburg, even clearer. 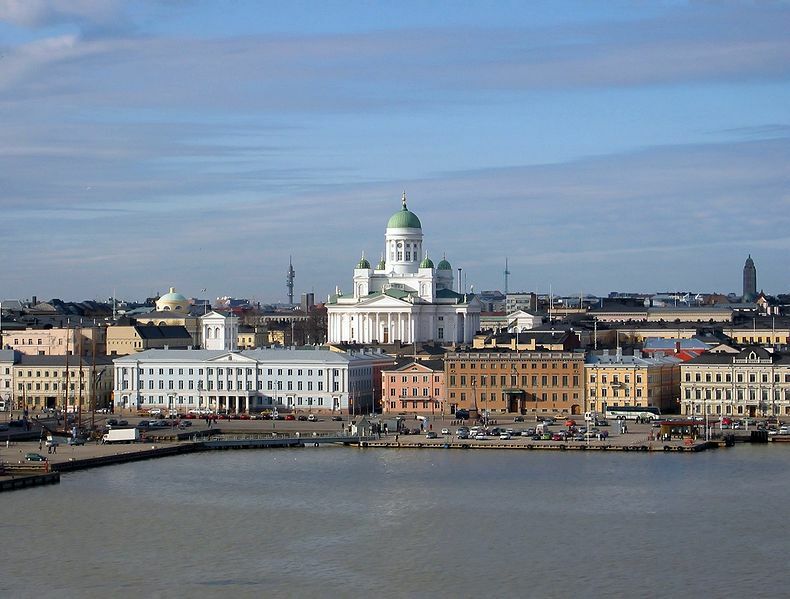 Today the cathedral is one of the most popular tourist attractions in Helsinki. Annually more than 350,000 people visit the church, some of them to attend religious events, but most as tourists. 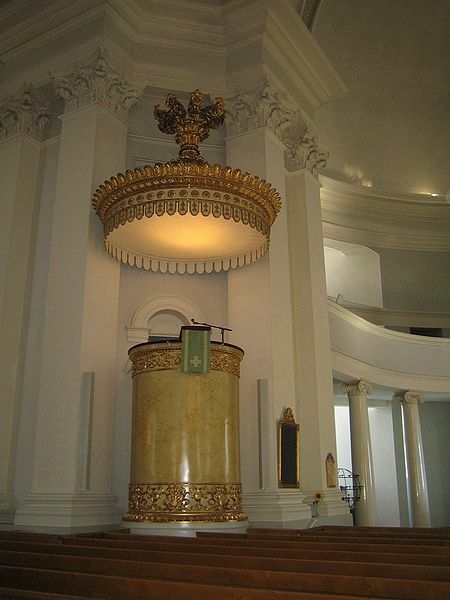 The church is in regular use for both worship services and special events such as weddings. The crypt was renovated in the 1980s for use for exhibitions and church functions. Before the cathedral was built, in its place a smaller church stood, called the Church of Ulrika Eleonora. You can walk along Aleksanterinkatu eastwards to reach the Cathedral or take tram 4,2 or 3 that also go along Aleksanterinkatu. Free of charge to enter.